Technological unemployment occurs when developments in technology and working practices cause some workers to lose their jobs. When labour-saving machines are introduced into the productive process, a firm can get rid of workers and produce the same amount of goods than before. Therefore some workers can lose their job. For example, in 1800, the majority of British workers were employed in agriculture. Labour-saving technology meant that food could be produced with fewer workers and so some agricultural labourers lost their jobs as farms used more machines. Technological innovation merely changes the types of jobs that occur in the economy. 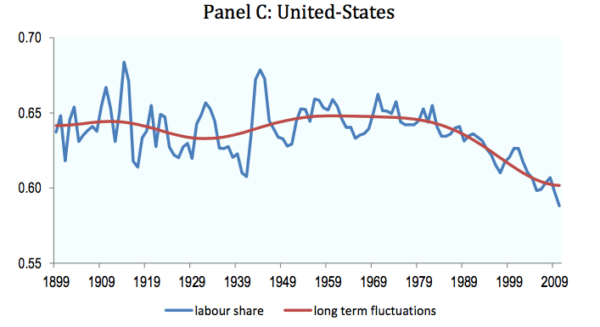 If labour productivity increases, we can enjoy a greater range of goods and services. If labour markets are flexible, then technological change will not cause unemployment. However, if there are labour market inflexibilities, then it can cause unemployment – at least, for a certain time period. 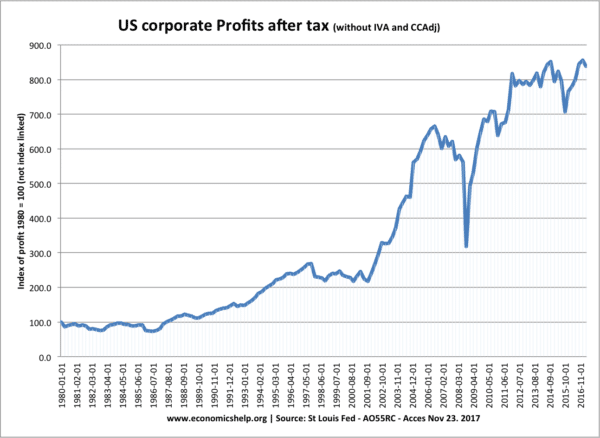 Evidence of technological unemployment in the US? 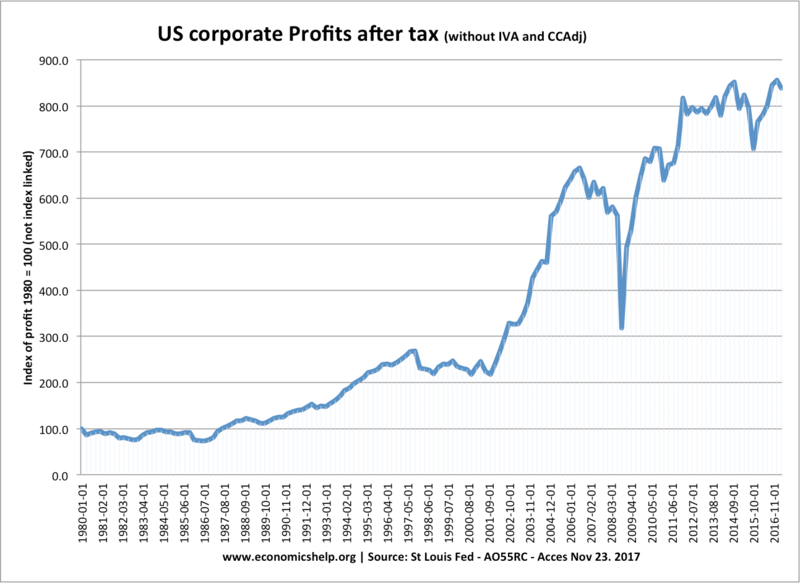 In this period from 2000, there was a sharp jump in corporate profits, which suggests companies are gaining higher profit from increased productivity. Will automation cause technological unemployment?